Unlock the complete adventure with a single purchase! No in-app purchases! Your father’s been arrested for treason and your mother is missing. 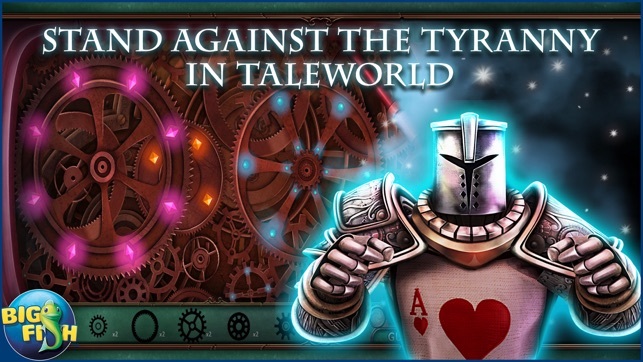 Now you’re the only one who can free Taleworld! • FREE THE STORYBOOK WORLD! Alice belongs to two worlds: the real one where she’s following her dream to become the head of a company, and the storybook realm of Taleworld where she was born. These two worlds collide when her owl friend Gears returns with an urgent message. Her father has been arrested by the Queen of Hearts and will be executed for treason! 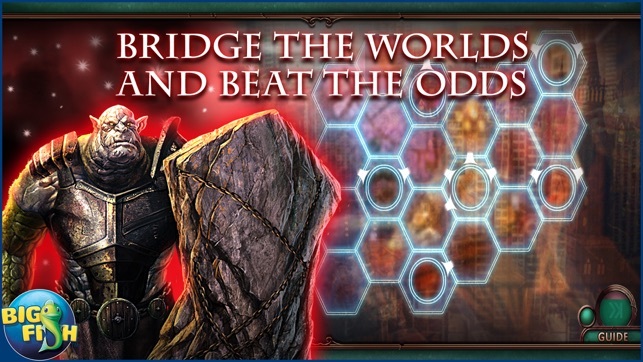 Use Alice’s unique mirror powers to travel between worlds and help defeat the Queen! 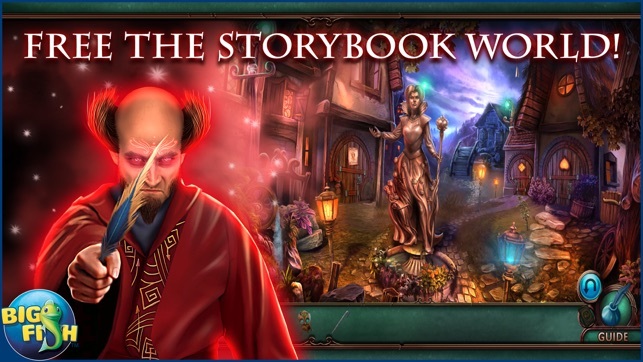 Enjoy charming storybook puzzles and intriguing hidden object scenes. Unlock special wallpapers earned as you play and find a hidden collectible in every scene to unlock bonus content! Enjoy various extras to remember your journey through Taleworld. • Using iOS 9? Now you can play in German & French again! Thanks for the continued feedback and support, and happy gaming! If you like this game, please consider taking a moment to rate/review it. 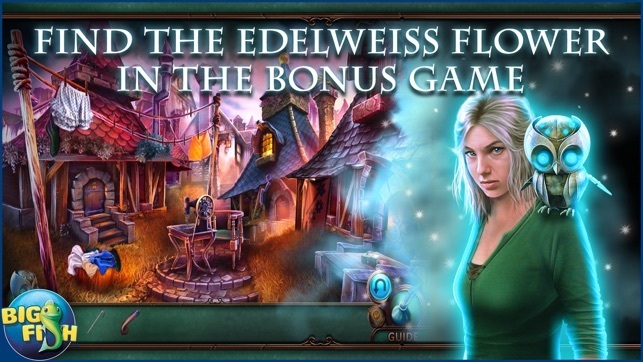 One of the best hidden object/adventure games this reviewer has seen in a long time: Intriguing plot, beautiful scenery, nice background music, interesting characters, along with many twists & turns in the plot. And what a long playing time that can be extended to multiple days if one so decides to play the additional "two bonus chapters" as I like to call them. 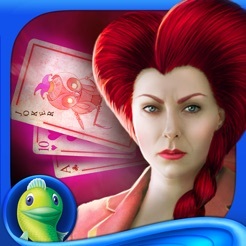 There is the option of visiting a casino, amoung other places, if one racks up enough casino chips/money and/or points after making a card house with all the hidden object cards that were collected throughout the principal story-Brilliant! Whilst there was no actual voice perpetuation by the characters themselves, and the storyline was disjointed at times, this game is well worth investing in, sale or no sale! Thank you for your continued following & support. I can’t get past the first part. When the game downloads it doesn’t allow the top row of keys to function on the keyboard. I’ve tried restarting phone and uninstalling and re-downloading game. Please advice on what to do to fix the problem. This series just gets better and better! I'm really enjoying the continuing story line between games. Clever and unique! PLEASE give Gears his own little adventure!! Requires iOS 7.0 or later. Compatible with iPhone, iPad Wi-Fi (3rd generation), iPad Wi‑Fi + Cellular (3rd generation), iPad Wi-Fi (4th generation), iPad Wi-Fi + Cellular (4th generation), iPad mini Wi-Fi, iPad mini Wi-Fi + Cellular, iPad Air, iPad Air Wi-Fi + Cellular, iPad mini 2, iPad mini 2 Wi-Fi + Cellular, iPad Air 2, iPad Air 2 Wi-Fi + Cellular, iPad mini 3, iPad mini 3 Wi-Fi + Cellular, iPad mini 4, iPad mini 4 Wi-Fi + Cellular, 12.9-inch iPad Pro, 12.9-inch iPad Pro Wi-Fi + Cellular, 9.7-inch iPad Pro, 9.7-inch iPad Pro Wi-Fi + Cellular, iPad (5th generation), iPad Wi-Fi + Cellular (5th generation), 12.9-inch iPad Pro (2nd generation), 12.9-inch iPad Pro Wi‑Fi + Cellular (2nd generation), 10.5-inch iPad Pro, 10.5-inch iPad Pro Wi‑Fi + Cellular, iPad (6th generation), iPad Wi-Fi + Cellular (6th generation), iPad Pro (11-inch), iPad Pro (11-inch) Wi-Fi + Cellular, iPad Pro (12.9-inch) (3rd generation), iPad Pro (12.9-inch) (3rd generation) Wi-Fi + Cellular, iPad mini (5th generation), iPad mini (5th generation) Wi-Fi + Cellular, iPad Air (3rd generation), iPad Air (3rd generation) Wi-Fi + Cellular, and iPod touch. © 2015 Big Fish Games Inc.